Brighton and Hove News » Well that’s four fab nights sorted out then! Well that’s four fab nights sorted out then! 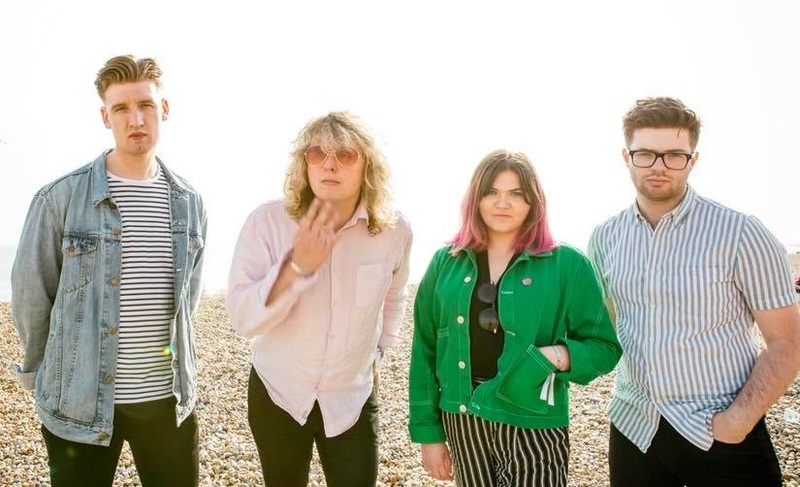 Local concert promoters HIDDEN HERD are certainly on the case already for 2019, as they have announced a special four-night series of Brighton shows called ‘SPTLGHT’, which are aimed to put a spotlight on some of the UK’s most exciting new artists. 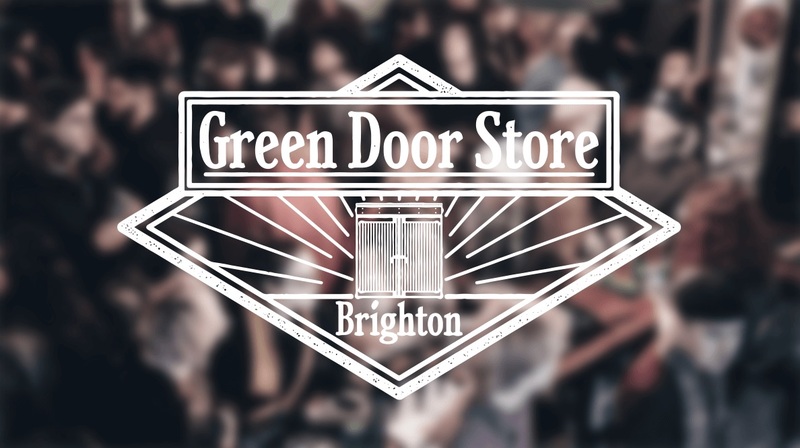 Each of these four ‘SPTLGHT’ shows will be bringing you a quartet of up-and-coming quality musical acts, (so that’s 16 in total) and they will all be taking place at the popular The Green Door Store on selected dates in February, March and April. The truly fab news is that each show is priced at only £6 when purchasing your tickets in advance. So that equates to a mere £1.50 per band! Tickets are available to those aged 18+ and will be priced slightly higher on the door, should there be any left by the time of each concert. But to be honest I personally wouldn’t want to miss out on seeing any of the acts and so purchasing the tickets prior to each night would be the ideal plan. 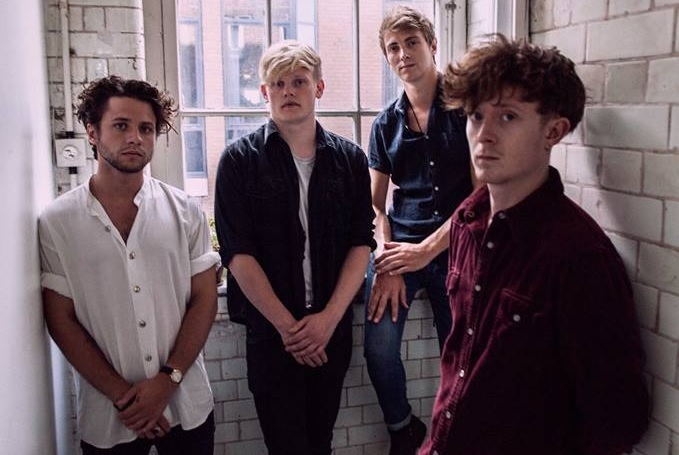 BBC Radio 1 presenter Jack Saunders has already picked up on this High Wycombe quartet as part of his ‘Forecast 2019’ feature on his Indie Show this week. Which no doubt made band members Ed Wetenhall, Charlie Lashmar, Zak Tozer and Ste Anderson feel just as excited as when they launched their debut ten track album ‘Shame’ last year. 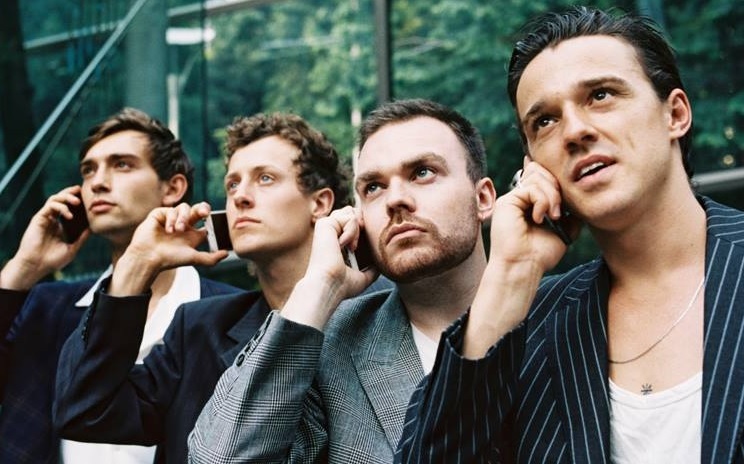 Once again BBC Radio 1’s Jack Saunders was on the case, when he was the first to spin Free Money’s track ‘Moving On’ the day prior to its release last November as part of the bands brand new 5 track ‘Free Money EP’, which also includes their ‘I Got U’ single release from a month earlier. ‘Moving On’ can now also be found on the superb ‘This Feeling – Big In 2019’ gatefold double blood red vinyl compilation album. 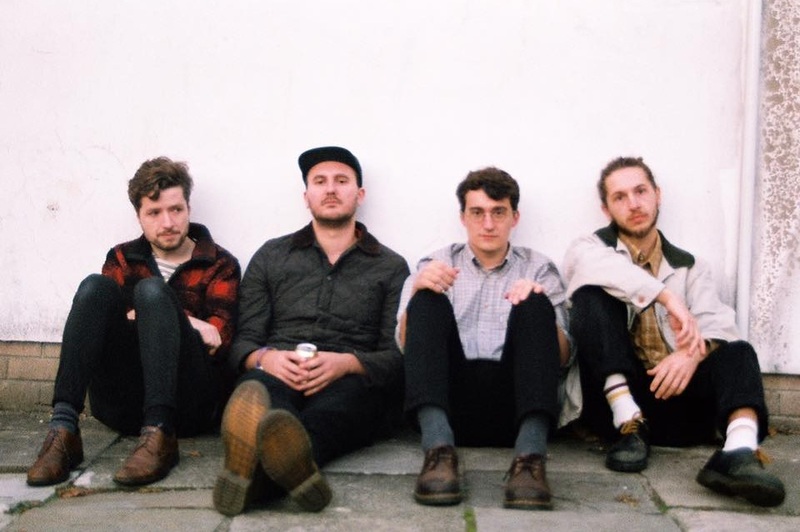 These guys have dropped ‘The’ from the beginning of their name as The Talk Shop were seen in Brighton last May at The Great Escape new music festival. 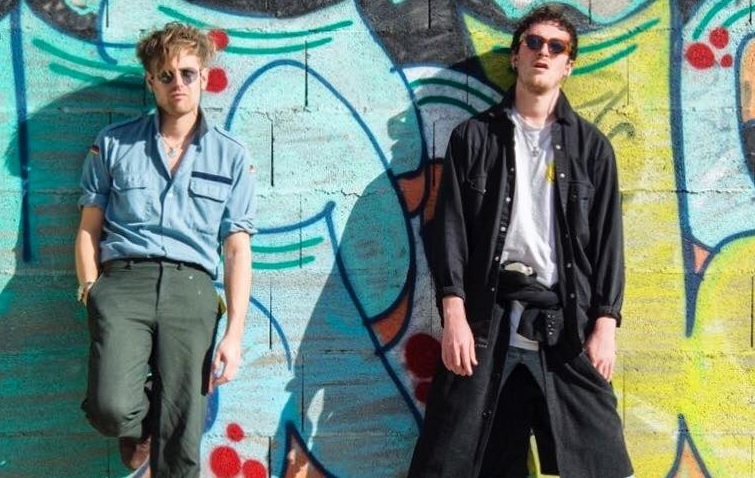 Drummer Chloe, axeman George (aka Skully) and their two bandmates namely guitarist Tom and singer Harrison will be performing their first gig of 2019 at the ‘SPTLGHT’ show at the Green Door Store. Niall and Sam recruited aquamarine haired bassist Molly and drummer Noah for that perfect music match and look. Lacuna Bloome have successfully filled the void vacated by the early recordings of The RPMs. Their sound is a pleasant blend of all things Oasis, Stone Roses and The Primitives. Their recent ‘Find Your Way’ single can also be found on ‘This Feeling – Big In 2019’ blood red vinyl compilation album. Grab your tickets for ‘SPTLGHT’ 1 HERE. This trio of young London ladies, namely Lizz (vocals/guitar), Sophie (vocals/bass) and Lauren (drums/BVs) played in Brighton last May at the sadly missed Sticky Mike’s and The Coalition previous to that, and I can assure you that they certainly don’t sound how they look, so you won’t be getting any Britney Spears but a decent slab akin to The Runaways/Joan Jett & The Blackhearts. 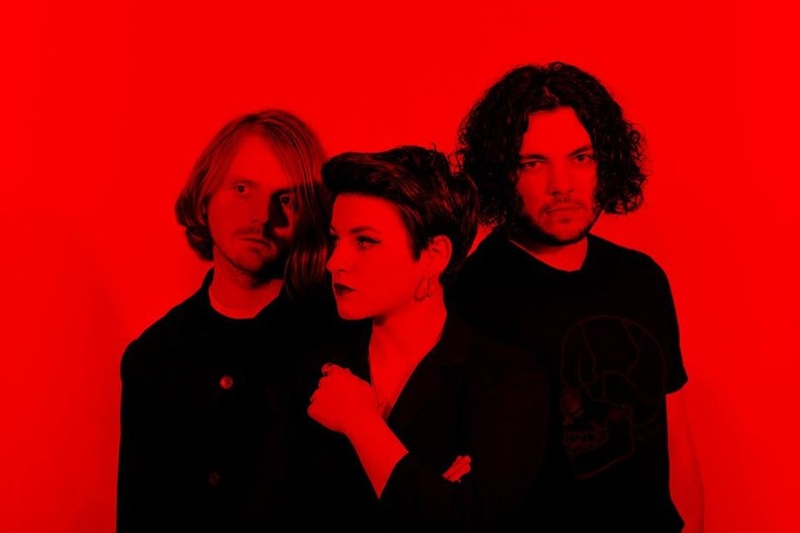 This trio from Leeds are fronted by force-of-nature front woman Lucy Jowett along with Joe Clarke and Jacob Marston. Be warned as they will lull you in with subtlety before unleashing their take-your-head-off wall of sound. They are thrashing, screaming, art-rock outsiders who were included in BBC’s Sound Of 2018 playlist and have received love from amongst others DIY, BBC 6Music and The Independent. 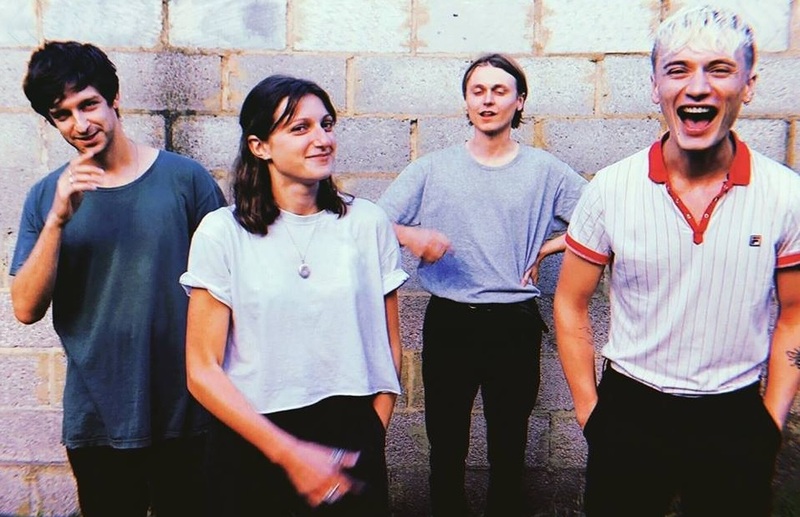 This Crouch End quartet are fronted by Jacob Wheldon and their recent ‘Machine Gunneress’ tune can be found on ‘This Feeling – Big In 2019’ vinyl compilation album. It’s be lifted from the bands 4 song EP ‘Yeah People Talk but You’ve Forgotten How to Live’ which was released last November. The EP also contains ‘Silverlined’ which Huw Stephens has plugged on his BBC Music Introducing show. Last spotted supporting the totally brilliant The Beths, Brighton’s very own three-piece Currls are Holly (guitar/vocals), Lawrie (bass) and Maddy (drums) and they make songs with a punch. 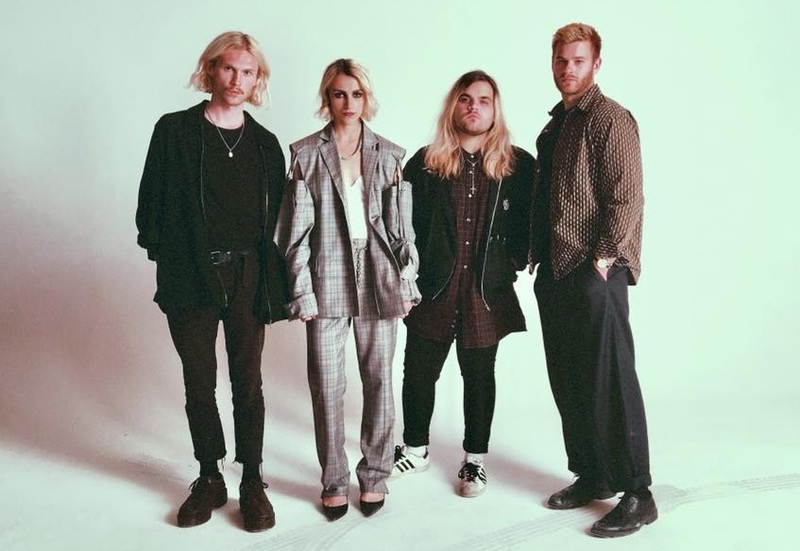 Their style is an infusion of glam rock, post punk and new wave influences, plentiful with thick bass lines and thriving drums to keep you moving. It’s a new kind of retro that you will want to love. Grab your tickets for ‘SPTLGHT’ 2 HERE. 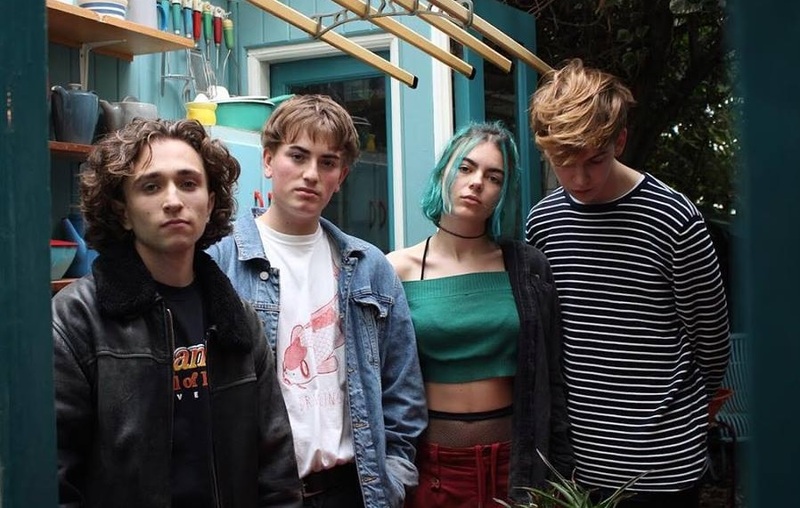 This Bristol quartet are made up of Vanessa, Jay, Roo and Max and they already have some affinity with Brighton due to the fact that they have recently performed with our own cool chart-busting hipsters Fickle Friends. 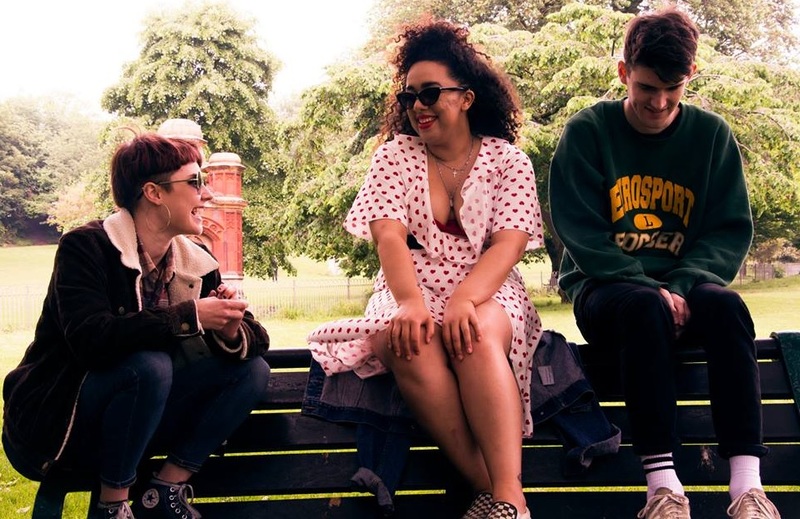 Swimming Girls have also supported Pale Waves of late too and have released their decent ‘Beneath You’ single, with talk of an EP dropping in 2019. Four friends, namely Samuel Dembowicz (guitar/vocals), Simon Metcalfe (guitar/vocals), Alfie Webber (drums/vocals) and Jamie Thomas (bass) decided that it would be a mighty fine idea to form a band in Brighton and write bittersweet guitar rock songs about subjects such as their favourite colours, unmatching socks and bad haircuts. 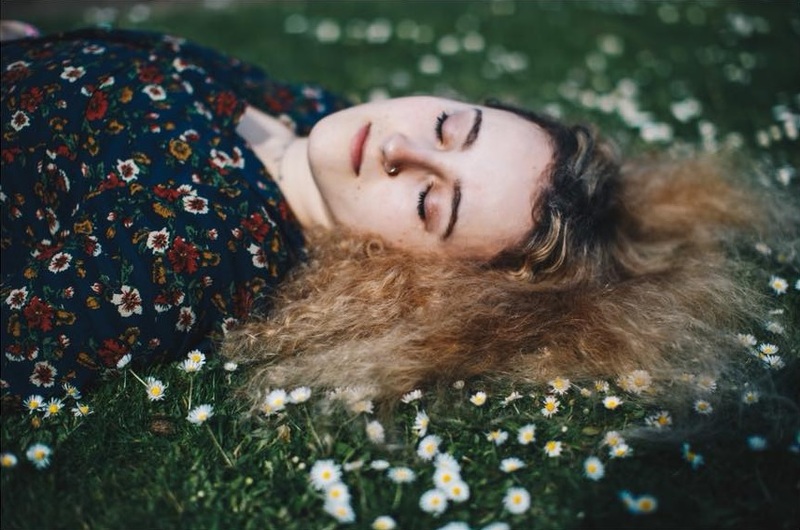 Brighton based singer/producer la lune (aka Olivia Judd) will be bringing her spellbinding sonic delights to ‘SPTLGHT’ and you seriously need to make sure that you get to the gig in time as her 4-tune ‘Bliss’ EP will transport you onto another plain and standout track ‘you keep me (sane)’ has the seal of approval of Melita Dennett from BBC Music Introducing. 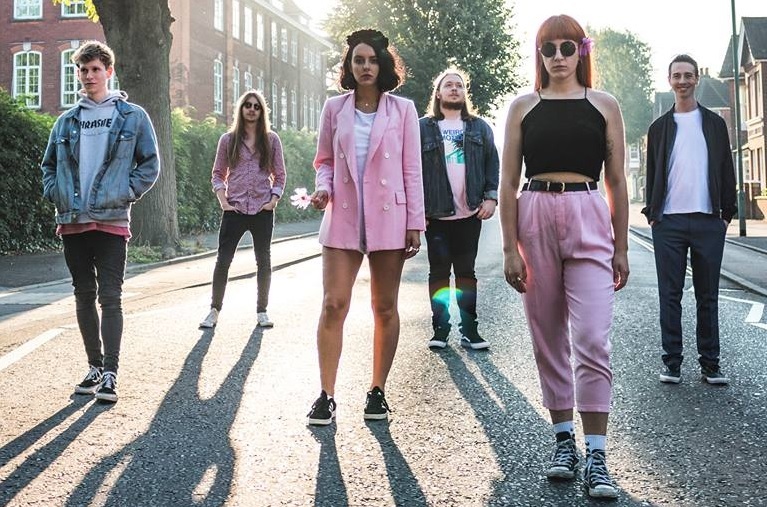 Mollie (vocals), Lauren (vocals), Max (guitar), Chris (guitar), Craig (bass) and Sean (drums) make up Brighton’s 1980’s influenced guitar driven alt-pop/rock sextet, known as Pollon. Last month (December 2018) the guys were recording their first two singles at Eastbourne’s Echo Zoo recording studios and further announcements will follow. Grab your tickets for ‘SPTLGHT’ 3 HERE. 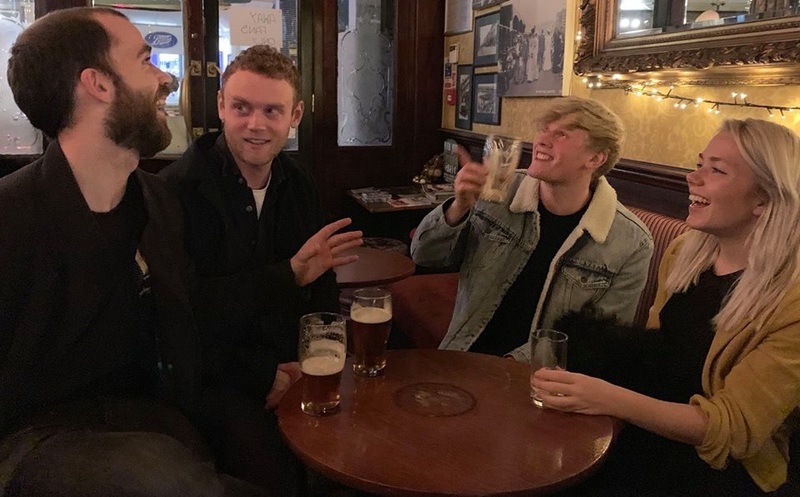 Marie Collins, Matthew McGoldrick, Duncan Carswell and Gianluca Bernacchi are an Artpop four piece hailing from Paisley near Glasgow and they took part in last year’s Great Escape new music festival in Brighton. They admire the likes of David Bowie, Talking Heads, Queen and Blondie and have released ‘I Take American’ and the catchy ‘Shake It’. 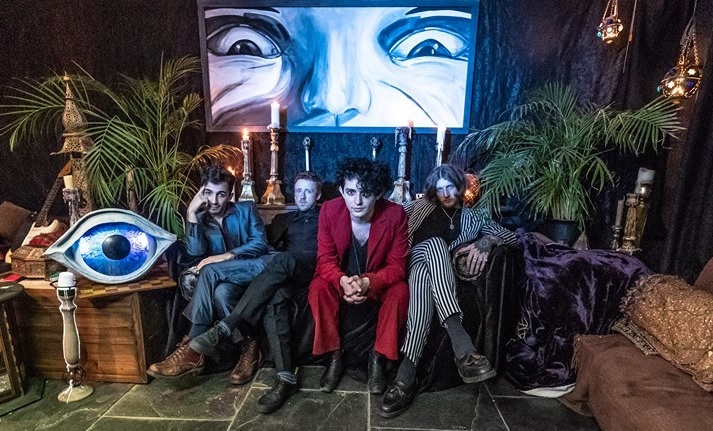 Former Brighton 4-piece Circe are now London based and are fronted by the charming seductress Alexa Povey, whose ethereal voice unveils dark dramatic lyrics with brooding soundscapes is something not to be missed. Circe have released ‘Under My Skin’ and the truly hypnotic ‘Blood And Wine’, with a new single ready to drop next month (February 2019). French UK Connection pronounced ‘ef / u / kay / si’ are a duo (John and Lemu) that are split between London and Paris and have just dropped a track entitled ‘Time’ and three months ago they covered the Talking Heads ‘Psycho Killer’ tune, plus half a year ago ‘Chill, Winston’ was unleashed. This ‘SPTLGHT’ show will be their first live performance. These are a London/Brighton based quartet of Maddy Myers, Gustav Moltke, George Godwin and Alfie Webber. They craft a pleasant mixture of hypnotic, mellow atmospheres with dreamy soundscapes and dense drums, filled with lush silky harmonies with a hint of Scandinavian overtones. Fans of The Cardigans will enjoy the forthcoming ‘That Girl’ single. Grab your tickets for ‘SPTLGHT’ 4 HERE. The Hidden Herd promoters have created a ‘SPTLGHT’ playlist and you can listen to it HERE.